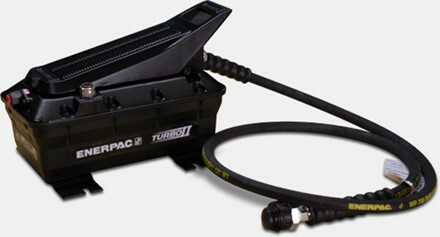 Connect the TubeShark Air/Hydraulic Power Unit to your air compressor. You can easily operate the TubeShark® bender from your air compressor with the Air/Hydraulic Power Unit. Standard fittings are included for air hose connection. Hose connection from foot control to bender supplied.